August 31, 1870, Chiaravalle, Italy, 3:30 AM, LMT (Source: Michel Gauquelin) Died, May 6, 1952, Noordwijk aan Zee, Netherlands. 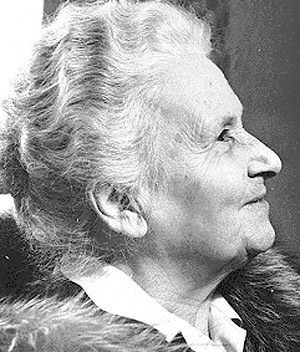 Maria Montessori was a medical doctor who evolved into a transformational educator. The so-called Montessori method (signaling Virgo and the seven ray) is essentially a practical and sequential approach.. The orderly use of concrete methods and materials was considered vital in her method of education. The Leo Ascendant, with nurturing Ceres and light-filled Venus rising, and responsible Saturn in the fifth house of children, indicates her soul mission—to bring illumination to the minds and hearts of children—(Leo, the “Will to Illumine). Behind her practical and concrete seventh ray methods, one can feel the expansive presence (second ray Jupiter in second ray Gemini) of the Ray of the Teacher—the second ray of “Love-Wisdom”. Discipline must come through liberty.... We do not consider an individual disciplined only when he has been rendered as artificially silent as a mute and as immovable as a paralytic. He is an individual annihilated, not disciplined. 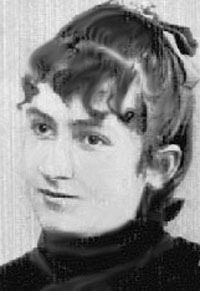 If we can, when we have established individual discipline, arrange the children, sending each one to his own place, in order, trying to make them understand the idea that thus placed they look well, and that it is a good thing to be thus placed in order, that it is a good and pleasing arrangement in the room, this ordered and tranquil adjustment of theirs—then their remaining in their places, quiet and silent, is the result of a species of lesson, not an imposition. To make them understand the idea, without calling their attention too forcibly to the practise, to have them assimilate a principle of collective order—that is the important thing. There is ... in every child a painstaking teacher, so skilful that he obtains identical results in all children in all parts of the world. The only language men ever speak perfectly is the one they learn in babyhood, when no one can teach them anything! Maria Montessori was always a little ahead of her time. At age thirteen, against the wishes of her father but with the support of her mother, she began to attend a boys' technical school. After seven years of engineering she began premed and, in 1896 became a physician. 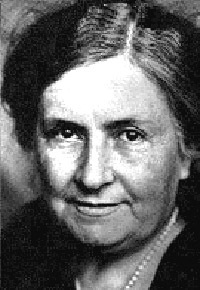 In her work at the University of Rome psychiatric clinic Dr. Montessori developed an interest in the treatment of special needs children and, for several years, she worked, wrote, and spoke on their behalf. Supposing I said there was a planet without schools or teachers, study was unknown, and yet the inhabitants - doing nothing but living and walking about - came to know all things, to carry in their minds the whole of learning: would you not think I was romancing? Well, just this, which seems so fanciful as to be nothing but the invention of a fertile imagination, is a reality. It is the child's way of learning. This is the path he follows. He learns everything without knowing he is learning it, and in doing so passes little from the unconscious to the conscious, treading always in the paths of joy and love. Invited to the USA by Alexander Graham Bell, Thomas Edison, and others, Dr. Montessori spoke at Carnegie Hall in 1915. She was invited to set up a classroom at the Panama-Pacific Exposition in San Francisco, where spectators watched twenty-one children, all new to this Montessori method, behind a glass wall for four months. The only two gold medals awarded for education went to this class, and the education of young children was altered forever. 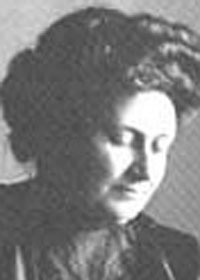 During World War II Dr. Montessori was forced into exile from Italy because of her antifascist views and lived and worked in India. It was here that she developed her work Education for Peace, and developed many of the ideas taught in her training courses today. She was twice nominated for the Nobel Peace Prize. In Rome Dr. Montessori developed the Montessori program for the elementary years for the child from 6-12. She began, as elementary classes do today, with the required curriculum of Italy of her time. She adapted the traditional teacher-taught subjects in the arts and science so that the children could use materials to guide their open-ended research and to follow their individual interests, working to a much higher level than was previously (and is presently!) thought possible for children of this age. The elementary child, when allowed to work independently instead of being taught in groups led by a teacher, and in classes with a mixed age group of 6-12- year-old students inspiring and teaching each other, masters academic subjects usually not taught until middle or high school. Since her death an interest in Dr. Montessori's methods have continued to spread throughout the world. Her message to those who emulated her was always to turn one's attention to the child, to "follow the child". It is because of this basic tenet, and the observation guidelines left by her, that Dr. Montessori's ideas will never become obsolete. Many people, hearing of the high academic level reached by students in this system of education, miss the point and think that Montessori math manipulative (as an example) is all there is to the Montessori method. It is easy to acquire materials and to take short courses to learn to use them, but the real value of Montessori takes long and thorough training for the adult. The potential of the child is not just mental, but is revealed only when the complete "Montessori method" is understood and followed. The child's choice, practical work, care of others and the environment, and above all the high levels of concentration reached when work is respected and not interrupted, reveal a human being that is superior not only academically, but emotionally and spiritually, a child who cares deeply about other people and the world, and who works to discover a unique and individual way to contribute. This is the essence of real "Montessori" work today. 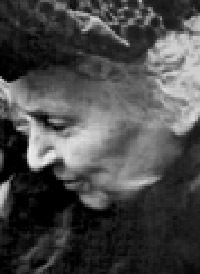 Dr. Maria Montessori developed revolutionary teaching techniques by observing the way children learn. Her methods remain effective ninety years later. believed that "…all children are endowed with [the] capacity to 'absorb' culture" and, if exposed to things could learn them without feeling like they were being taught. Her observation was that in this way they learned happily and without tiring. It started with reading, and the astonishing fact that many children with proper access to resources would easily learn to read at the age of four. Then they expanded the learning to a vast array of other areas from botany to mathematics and more. The children learned spontaneously and with creativity. She believed that children learned through exposure to cultural activities. She said that the teacher's role was not to teach, but to prepare and arrange a series of learning opportunities which each child can move through instinctively. was born in 1870 in Alcona, Italy to an educated, but not wealthy, family. She defied her father and the conservative Italian society and studied science, becoming the first female physician in Italy. Her work was mostly with the poor and she saw in these children vast potential, and understood that intelligence is common, but only uncommonly tapped. She was an altruistic person, speaking across Italy about women's rights and child labor law reforms. 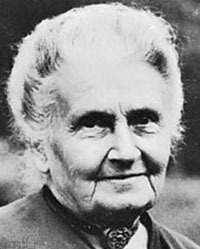 Montessori was appointed Director of a branch of the University of Rome, an asylum for "deficient and insane" children. Children who had been previously confined to their rooms and deprived of attention and stimulation were brought out into the daylight, so to speak. The staff was instructed to speak to them with respect, and they were provided with purposeful activities, including learning to care for themselves, and educational pursuits. Montessori drew on the studies of the "Wild Boy of Aveyron" who was found in a forest in the 1800s. He had been without human interaction for about ten years. Eighteenth century physician Jean Itard studied the child at length, considering him raw material and prime for studies about the relative importance of nature vs. nurture. When the boy failed to learn to speak and do other basic functions, Itard speculated that there are learning periods in human development when growth potential is prime. He believed that the Wild Boy had missed the prime window for learning speech. He believed that it was essential to observe the educational process carefully to determine the best times to present learning opportunities. Montessori agreed and this concept became the backbone of her methods. Through careful observation of her mentally challenged children she was able to determine what worked best with them and when. It was easy to see that development stages were different for each child and optimum learning occurs when the child is ready. But the teacher must be ready, as well, and therefore always watching for signs it is time to present more material. In two years time some of her "deficient" students were able to pass standard tests for Italian School Children. She was lauded for this achievement but replied that public schools should be able to get far better results, then, with her methods, than with their traditional ones. The government didn't allow her that chance, so she started to work with poor day care children too young to attend school. 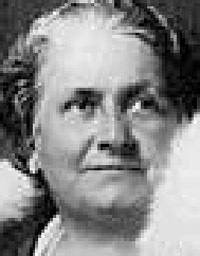 These children were examples of the worst poverty can bring out of people, and at first Montessori doubted her methods could work under these conditions. However, she gave them a try and her successes were even greater than with the retarded children. These children did not need to be prodded to participate as the hospitalized children did. They were eager to learn and begged for more. They were fascinated by numbers and were adding four and five digit numbers at the ages of four and five. Their enthusiasm was so great that Montessori spent many nights awake into the wee hours making new learning tools for them. Her style of mathematics blocks and tiles are still in use today. 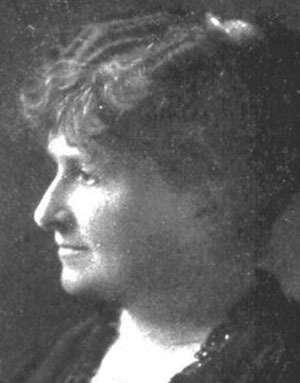 During the time at these "Children's Houses" she quit her work as a physician and began to work exclusively advocating for children's educational opportunities. Montessori observed that if children have an orderly place to work and learn they take great pride in it and care well for the learning tools. They are able to sit quietly and learn for long periods of time- far longer than in normal everyday settings. She had carpenters build the first ever child sized school chairs and desks to make them comfortable for learning. She didn't make them do all their learning at desks, however. She created seating areas on the floor with rugs and pillows, and standing learning stations as well. Montessori taught her methods in many countries including Africa, Sri Lanka, India, and various parts of Europe. Anna Freud, Jean Piaget, Alfred Adler, and Erik Erikson studied under Montessori and went on to make their own contributions to the understanding of education. Montessori's methods have been repeatedly supported by research into child development. Unfortunately they do not work well if adopted piecemeal into other systems, and this is how they are most often used in public schools.